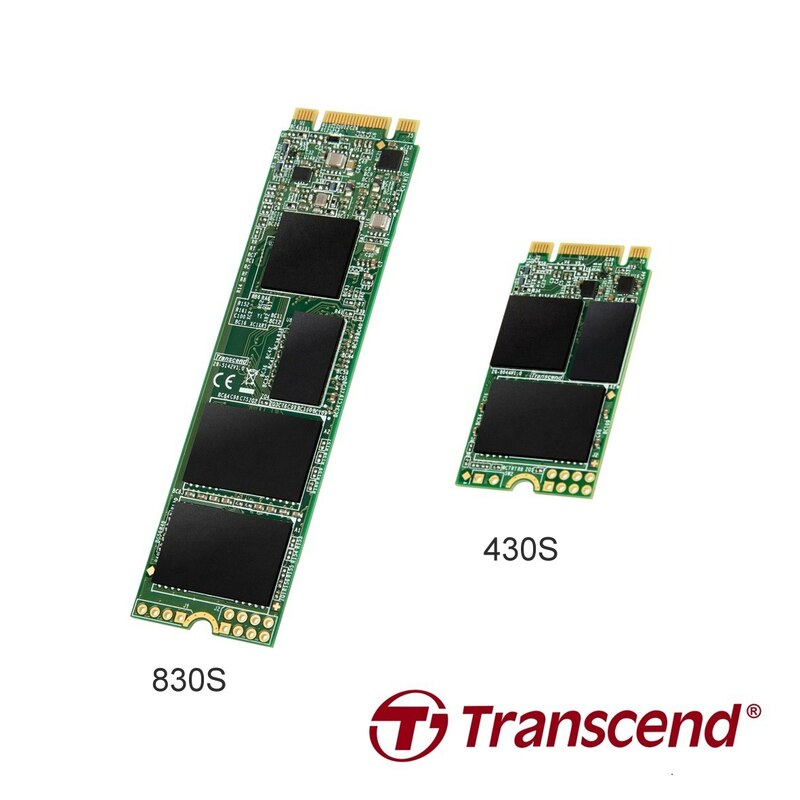 Transcend Information Inc., a leading manufacturer of storage and multimedia products, today announced the release of its M.2 SSD 430S and 830S solid state drives (SSD). Featuring ultra compact dimensions and the next generation SATA III 6Gb/s interface and DDR3 DRAM cache, Transcend’s M.2 SSD 430S and 830S are best suited to address the strict size limitations and high performance needs of today’s advanced portable devices. By using only high-quality NAND flash chips and enhanced firmware algorithms, Transcend's M.2 SSD 430S and 830S delivers peerless reliability. Transcend's M. 2 SSD 430S SSD is available in 128GB, 256GB and 512GB capacities while the M.2 SSD 830S is available in 128GB, 256GB, 512GB, and 1TB capacities. The M.2 SSD 430S and 830S solid state drives are covered by Transcend’s Five-year Limited Warranty.